This new development is a pre-construction luxury condominium proposed by North Drive for Toronto’s Forest Hill neighbourhood. Intimate and upscale, this location combines opulent suites and a neighbourhood where amenities, transit and lush ravines are at your fingertips. One Forest Hill Condos occupancy date is projected for 2020. This building will occupy a prime piece of real estate on the northeast corner of Forest Hill Road and St. Clair Avenue West, close to the cosmopolitan intersection of Yonge and St. Clair. It’s proposed as a 12-storey mid-rise with plenty of terracing and stepbacks to provide texture and optimize sun exposure for the street. With only 43 suites, One Forest Hill will have an exclusive but welcoming feel. A mix of one, two and three-bedroom layouts are proposed, ranging in size from 1,300 square feet to 3,000, uncommonly spacious by Toronto condominium standards. The average suite size is expected to be around 2,250 square-feet. Richard Wengle will be handling the building’s architecture, while Gluckstein Design will be in charge of the interiors. 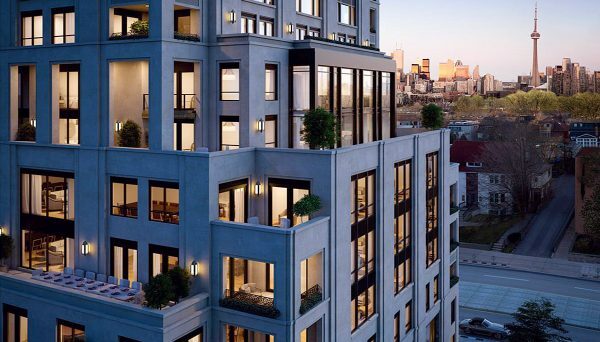 Inspired by the Art Deco style, One Forest Hill will showcase materials such as limestone, marble and bronze in its design, allowing for the condominium to reflect its surroundings, which include a series of stately homes. One Forest Hill Condos is expected to be a true luxury building, this Forest Hill condominium will boast some impressive fixtures and finishes in each unit, including spa-inspired bathrooms with marble finishes, soaring ceilings and grand dining rooms. Units will have expansive balconies or terraces, offering spectacular views of the area’s wooded ravines and the bustling Midtown neighbourhood. One Forest Hill Condos will be a great fit for those who love the established neighbourhood and want the conveniences that come with luxury condominium living, without having to sacrifice space. Forest Hill is an affluent pocket that sits north of downtown Toronto but is still relatively central. Traditionally it’s been home to primarily single-family dwellings, including some of the city’s most stately homes. In the past few years, however, we’ve seen more residents wanting to live in the area, but in more efficient settings, which in turn has fueled a trend for more modern condominiums. Many of these are mid-rises, with all the luxurious features one expects from a Forest Hill residence. 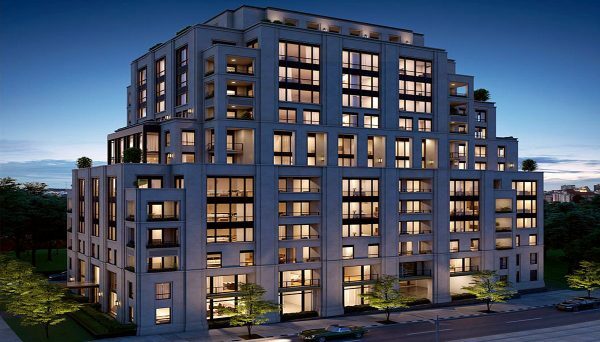 We’re steadily seeing more and more proposals for the area along St. Clair West as many homeowners opt to downsize – or “rightsize” as designer Brian Gluckstein puts it – into condominiums. Thanks to the nearby commercial hub at Yonge and St. Clair, the area draws its fair share of professionals as well. Its proximity to parks and schools – including two of the country’s most prestigious secondary schools – makes it a popular choice for families too. Restaurants, boutiques and almost everything you need on a day-to-day basis can be found along the main stretch, not to mention 24-streetcar service, which connects you to two subway stations. It’s a fifteen-minute transit commute into the downtown core and even shorter if you’re driving. One of this neighbourhood’s most cherished features is its ravine system, a network of lush walking and jogging trails that winds its way through the area and is popular with dog walkers and those who crave a natural setting to unwind in. North Drive is responsible for some of the city’s most luxurious and architecturally unique condominiums. From high-rises to boutique buildings like this one, they specialize in upscale details and lavish living spaces that take condominium living to the next level. Most recently, they were awarded the 2016 award for Most Outstanding High-Rise Building from the Ontario Home Builders Association. 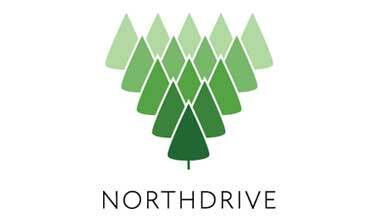 Read more about North Drive.